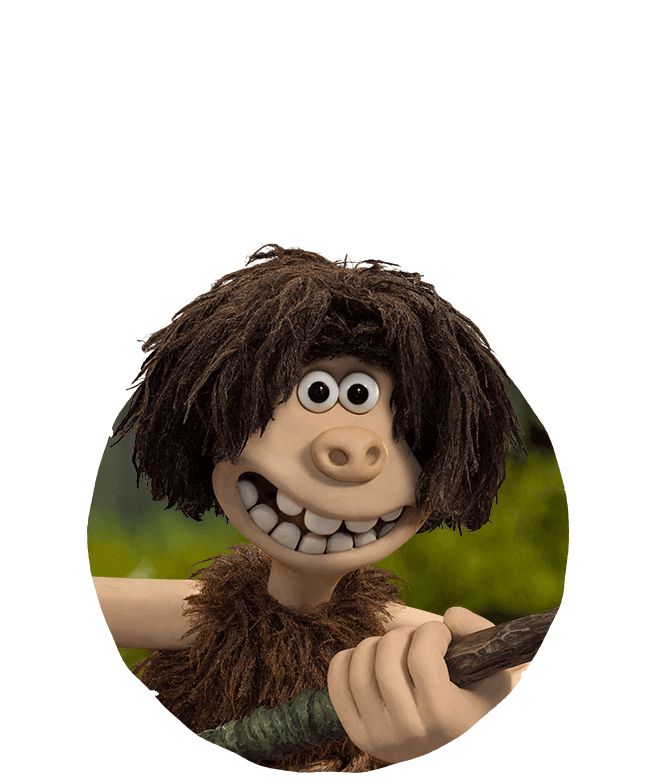 Set at the dawn of time, when prehistoric creatures and woolly mammoths roamed the earth, Early Man tells the story of how plucky caveman Dug, along with sidekick Hognob, unites his tribe against the mighty Bronze Age in a battle to beat them at their own game. 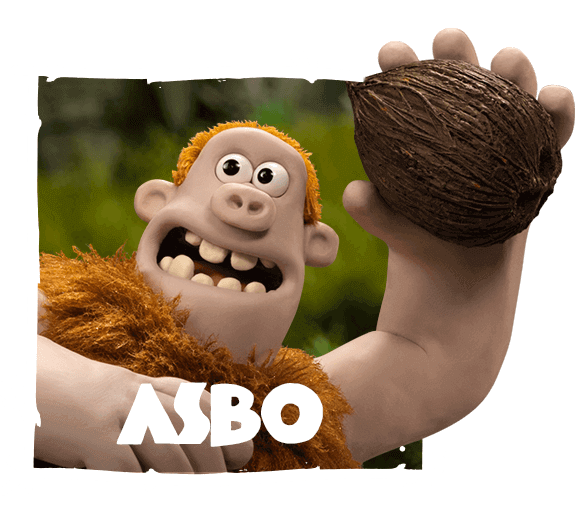 Early Man unleashes an unforgettable cast of hilarious new characters and marks Nick Park’s first feature film since Academy Award™ winning Wallace And Gromit: The Curse Of The Were-Rabbit. 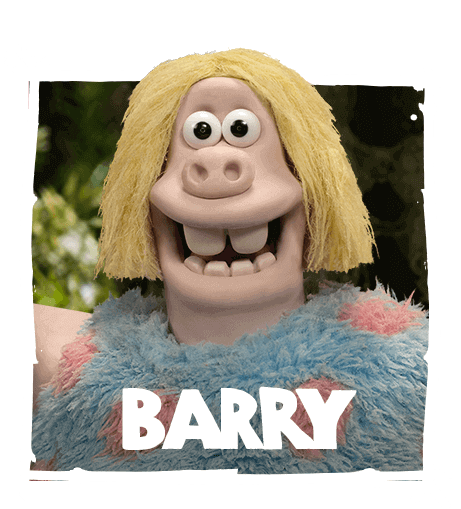 Indomitably cheerful and optimistic, our scrawny but big-hearted young hero is a can-do caveman with boundless enthusiasm and an unwavering belief that anything’s possible. Dug is always brimming with ambition for his tribe, despite their obvious shortcomings, but is kept in check by Bobnar, his cautious Chief. When the tribe are forced out of their beloved Valley, it falls to Dug to lead them into the biggest challenge they have ever faced – a challenge that tests Dug’s faith in himself and his own people to breaking point, but ultimately inspires them to achieve greatness beyond their wildest dreams. Dug is always accompanied in his adventures by his faithful hog Hognob. 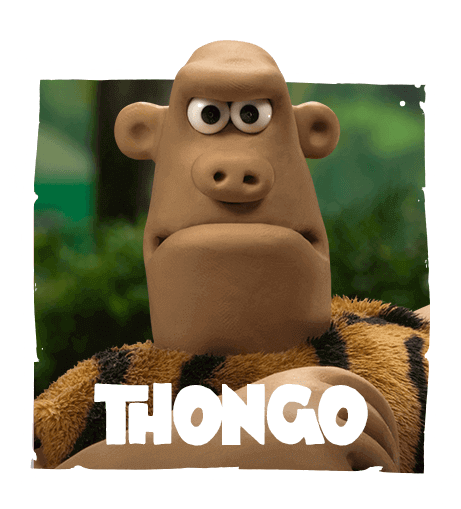 Hognob is Dug’s stone-age pet Hog. 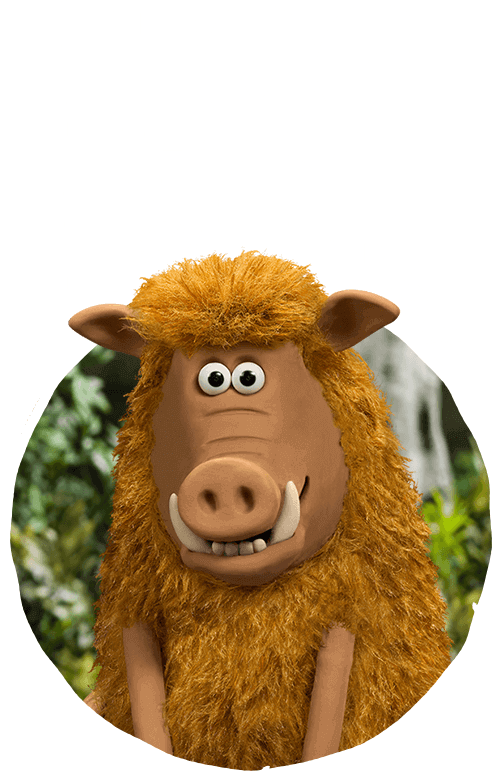 Like a dog, Hognob is very communicative, and though he doesn’t talk, like all faithful companions he manages to make his feelings known with an emphatic growl or a well-timed roll of his eyes. 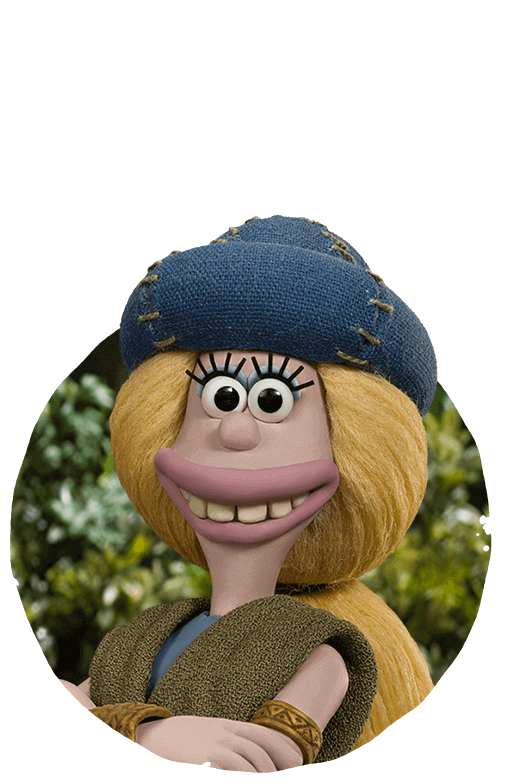 Goona is a strong outspoken young woman, barred from fulfilling her dreams by the conventions of her world. This straight-talking Scandinavian breaks down barriers and proves she has a powerful sense of justice. The affable and eternally patient Chief of Dug’s tribe. 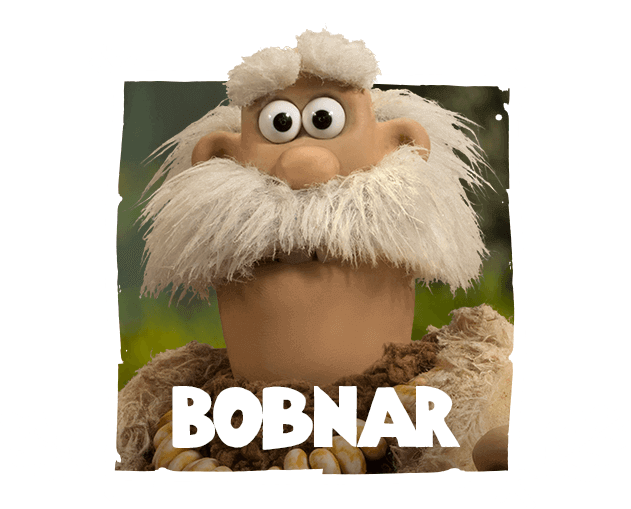 Bobnar is more like a dad to the tribe than a chief making sure they change their underwear and brush their teeth every day! Most importantly of all, he keeps them from harm, which is usually of the accidental self-inflicted variety. Deep down Bobnar knows his tribe are limited but his desire to play things safe puts him at odds with Dug. 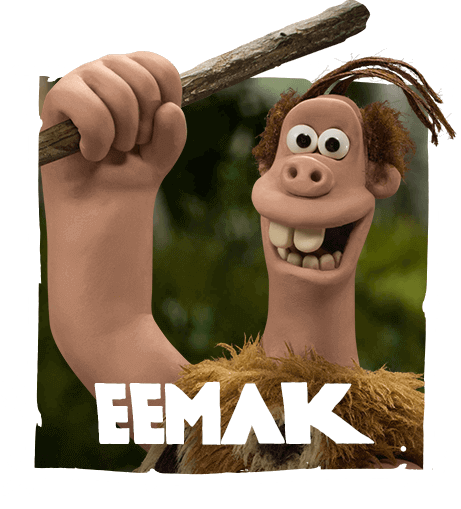 A warm and funny character, Eemak’s friends have trouble understanding him! A strong, silent type, his answer to everything is a non-specific grunt. 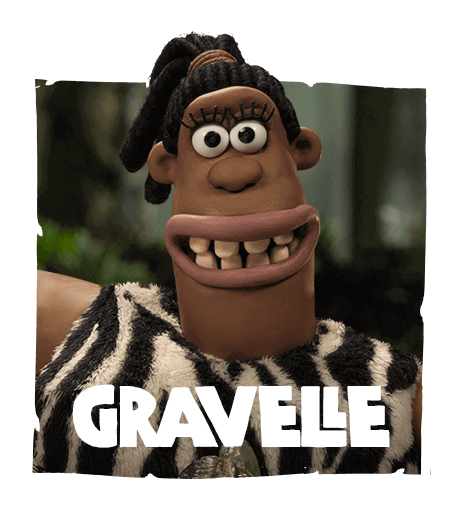 Gravelle is an injury-prone young woman who believes the Stone Age lifestyle doesn’t suit her health. 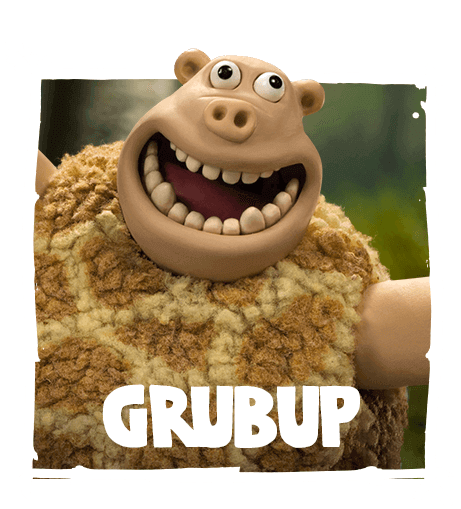 Always hungry, Grubup will eat anything that isn’t moving or tied down. Asbo is a fidgety, ginger ball of unfocused energy. A gentle giant who is scared of his own shadow, and everybody else’s for that matter. 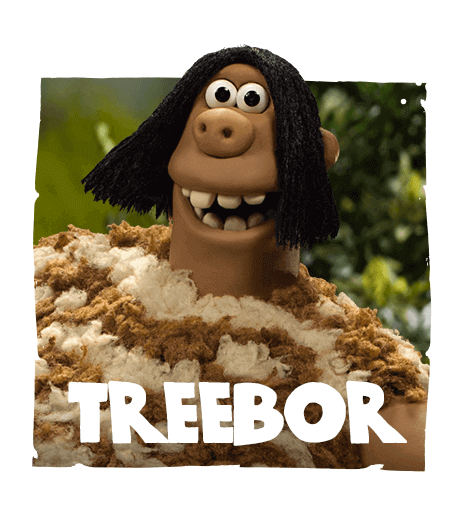 Treebor’s no nonsense, overbearing mother – the rest of the Tribe know it's best not to mess with her. Barry is not the sharpest of flints. His best friend is Mr Rock, who often gets the better of him in arguments. 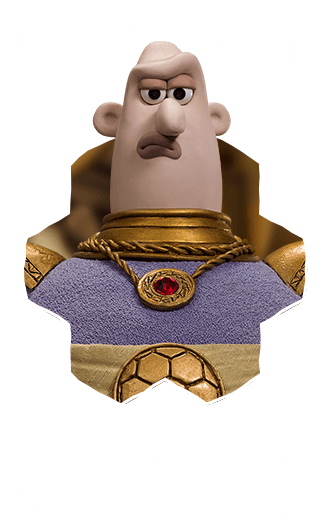 Self-important pompous Governor of the local Bronze city, Nooth is a money-loving tyrant who enjoys the trappings of his luxurious Bronze Age lifestyle. Real Bronzio’s highest paid player and their dazzlingly brilliant captain. His formidable soccer skills are only matched by his arrogance and vanity. His success on the pitch has earned him all the trappings of a pampered sports star and his face has launched a thousand male grooming products. Don’t mess with him, or his hair. An elite squad of football warriors, Real Bronzio’s unbeatable reputation strikes fear and despair into their opponents. With all the resources of Nooth’s ill-gotten bronze behind them, this champion team can field the best side in the known world -- including top professionals like Gonad the Gaul, a defender built like a burial chamber; Lightening Hammer, a striker with a shot like a thunderbolt; and Big Hans Hugelgraber, a goalkeeper who’s never had to take the ball out of his own net. The fair-minded if not intimidating matriarch of The Bronze Empire. 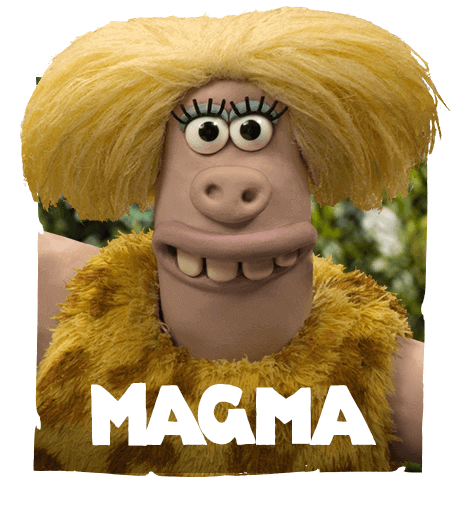 Not a lady you want to get on the wrong side of, but she’s a true football fan -- and when it comes to rugged cavemen, there’s even a twinkle in her eye. The Message Bird is the Queen’s personal “hi-tech” messaging system. When given a signal, it records everything within earshot, like a Dictaphone, and then it flies off to deliver its message. The Message Bird has the uncanny ability to mimic both voice and gestures and when he speaks for the Queen his imperious tone is hilarious. 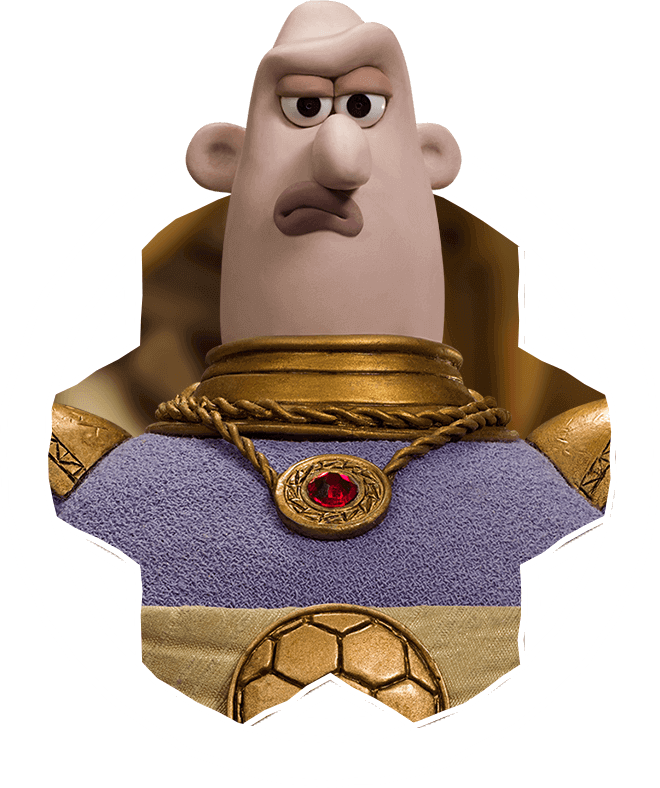 Lord Nooth finds him particularly irritating.